On occasion, patients call asking about the price of hearing devices. They may ask for a price range or the price of a specific product. Nowadays, most patients have already done some extent of online research and are merely looking for you to confirm the information they have found. From a customer service standpoint, of course, you want to answer the patient’s pricing questions over the phone. But here’s why you shouldn’t and how to handle it as a Front Office Professional (FOP) or Hearing Healthcare Provider. If the patient hasn’t had his hearing tested, then you don’t know if he could benefit from amplification. The first thing you should do is find out if he’s had a hearing test and been told he could benefit from hearing devices. Regardless of the patient’s response, the device recommendation will still be based on hearing loss, lifestyle, and budget. So, without consulting with the provider, you don’t know what will be recommended as a solution. The best thing you can do for the patient is to schedule a consultation with the provider who is the hearing expert. Most important, communicate these reasons to the patient on your call. Don’t just say, “we don’t provide pricing over the phone.” Instead, provide the reasoning and emphasize how each patient requires individual testing and recommendations in order to provide the best solution based on hearing loss, lifestyle, and budget. Let the patient know that your practice works with a variety of manufacturers with a range of prices to fit their needs. If absolutely necessary, offer to have the provider contact the patient to further advise them on their options. Find out what’s important to patients and why they are inquiring about price. Are they asking about price because they have a preconceived notion about the cost of hearing devices? Are they getting second-hand information from a friend or loved one? Are they trying to sort through mailers, newspaper ads, and/or the internet to make sense of the price? Explain how the influx of information from the above sources can be confusing and how you can help them make sense of it all by being their trusted advisor. Let them know that although hearing devices can look alike, it doesn’t mean they all have the same functionality, and it’s important to understand how their ongoing hearing healthcare needs will be handled. Let them know why patients choose to come to you. Invite the patient to visit your practice for a free consultation with you. Patients choose providers they trust. So be the provider they need. Talk to your Account Manager today if you have any questions about how you and your staff can better handle price shoppers or cost objections. You and your team may benefit from our Employee Development Program (EDP), which offers regional classes on a variety of topics, from increasing customer satisfaction to closing sales. We also provide weekly teletrainings which give practice owners the opportunity to openly discuss the challenges their personnel are facing and learn how to overcome them. And don’t forget that there’s a wealth of information and free materials available to Consult members via Navigator, including scripts your staff can use as a guide for handling incoming calls, requesting patient referrals, asking for a Third Party, and more. 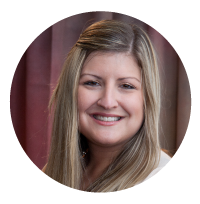 Diana Dobo was as an Account Manager for three years and Divisional Vice President for the West Division for four years before being named Consult YHN’s Vice President of Strategic Accounts. She has nearly 20 years of experience in sales, marketing and business development. Prior to joining Consult YHN, she was a Senior Sales Manager in the healthcare IT industry. Lead Generation: What is it and where do I start? Generating a steady supply of patients and maintaining a full schedule is a critical part in developing a profitable practice. However, we all know it can be a challenging process. Now is the time to reevaluate your business to determine what initiatives are effectively driving traffic to your office and what things you can be doing differently to generate more leads. This methodology is what marketers call “lead generation”. In order to diversify your pipeline, you’ll want to attract, nurture and retain a combination of new acquisitions, prospects and customers. To accomplish this, create a plan that communicates messaging to each segment of your target audience via a multi-channel approach; aka your lead generation strategy. Begin by focusing on two major target segments. One type includes the residents within our community who you’ve never met; people won’t visit your location if they don’t know the practice exists. Consider targeting areas within a close proximity to your office, possibly where the majority of your patients are already travelling from. The other audience segment includes the people already in your database. These leads are uniquely qualified because you have established a connection with them; now all it takes is nurturing that existing relationship. Consider not only your current patients, but also contacts in your database who haven’t physically visited your office. These leads could have been connections from a lunch and learn or health fair; however, these contacts never took the next step to schedule an appointment with your practice. This group tends to get overlooked, yet they are one of the strongest prospect segments. Your practice’s selling point is a key message that needs to be communicated to all audience segments. Consider which of your products or services are different or better than what your competitors are marketing in the community. Put yourself in your patient’s shoes and think about what motivates their behavior and buying decisions. Try to uncover the real reasons why your patients came to your practice and purchased, instead of patronizing one of your competitors. If you are having trouble identifying your differentiator, ask your patients directly why they chose your practice. Encourage patients to rate your practice on things like atmosphere, staff, and services; it will not only help you identify your unique selling point, but it will also determine how you can improve your customer service as well. The other option is to think about your “why” statement. Why did you become a hearing health provider and/or start your business? Integrating this personal statement about your practice helps you stand out among your competitors. It’s essential to have goals and objectives established when developing a successful strategy. Identifying these benchmarks and milestones allow you to evaluate the success of your outcomes. Make sure your practice’s goals are aspirational, yet attainable, and ultimately support the purpose of your current business strategy. When you are developing your goals, determine if you want to measure by quantity, quality, or both. Examples include growing overall profitably by a certain dollar amount or percentage, achieving or increasing measurable ROI, obtaining more qualified leads, or gaining additional insight into what makes your target audience tick. Think about what you can offer your audience that will entice them to convert into a lead. While price is important, it’s not the only reason why people will express interest. If your competition is beating you on price, you have to present the target audience with a relevant benefit that addresses their needs. Then, build your sales and promotional material around that “pain point.” You can create an offering with less perceived obligation and more perceived value (for your leads) and provide it free of charge. This could be a booklet, gift, demonstration or anything else related to your product or service. Think of it like a door opener; something to discover interested individuals and get the conversation started. Once you have determined what offer(s) you want to promote, you should include a call-to-action (CTA) to support it. This CTA is an instruction to the audience to provoke an immediate response. 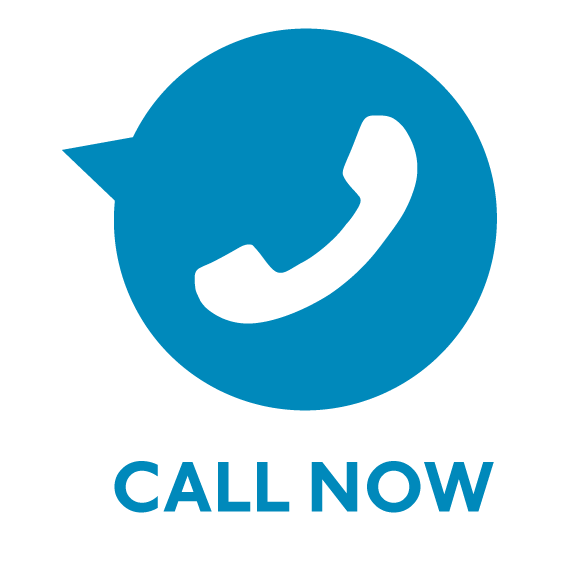 Something as simple as a “call today” or “call to schedule an appointment” will suffice – and remember to include contact information. Creating this type of urgency will entice consumers to reach out to the practice. The lead generation techniques of the past look quite different then the modern version. The methods for generating leads in today’s marketplace need to feed your sales pipeline from various channels. This year at AHAA’s Convention, our team will be presenting a multi-faceted lead generation strategy that introduces you to new products and strategies you can employ right away to reach beyond traditional efforts. Decide which approach offers your practice the most promise after hearing from the business owners who have already boldly embraced today’s lead generation strategies. Lead generation is the backbone of an effective marketing campaign for your practice. Without a continuous flow of fresh leads, your practice could have difficulties thriving in today’s competitive arena. If you can’t make it to Convention this year, reach out to your Associate Manager; he or she will help you develop your lead generation strategy and diversify your approach to customer acquisition and retention! Most of us live our lives on a fairly regimented schedule – waking up at a certain time each weekday for work, getting the family together for dinner around the same time in the evening, trying to attend a workout class at a certain time on the weekends and preparing for upcoming holidays with planning travel, organizing gatherings and decorating with seasonal flair. Sometimes the same schedule we follow in our personal lives can translate into good business practices. Believe it or not, your personal event schedule can be applied to your cyclical marketing plan. Most marketing plans are developed on a 12-month schedule. Having an organized plan deters last minute scrambling and panicking and promotes consistent traffic and opportunities. However, once that plan is in place, the individual tactics [including messaging and design] like ads, inserts, direct mailers and promotions need to be developed. Think about planning the themes for these initiatives around the usual calendar events – seasons, holidays, etc. Sample seasonal themed ad from MarketSource. What’s powerful about this approach is that your audience is already in that ‘holiday’ mindset so your promotion will be relevant to their needs in that moment. And coupling that with the pain point of ‘missing out’ on family and friend interactions around the holidays is a poignant message. This same approach can be used for patriotic holidays, changing of seasons and much more! Think about what your prospects will be focused on at a certain time of year. Then, tie your message into their organic thought process at that point in time. Also, take your 12-month marketing plan one step further by developing a calendar of tactics and messaging focused on upcoming holidays and seasons. This will be the perfect combination of organization and subject matter for successful communication with your prospective patients! Interested in seeing some seasonal and holiday-themed options with targeted messaging? Visit MarketSource – marketsource.consultyhn.com – and sign up to peruse seasonal marketing samples that you can order with just a few clicks!